7 Bedroom Detached House For Sale in Tunbridge Wells for Guide Price £900,000. 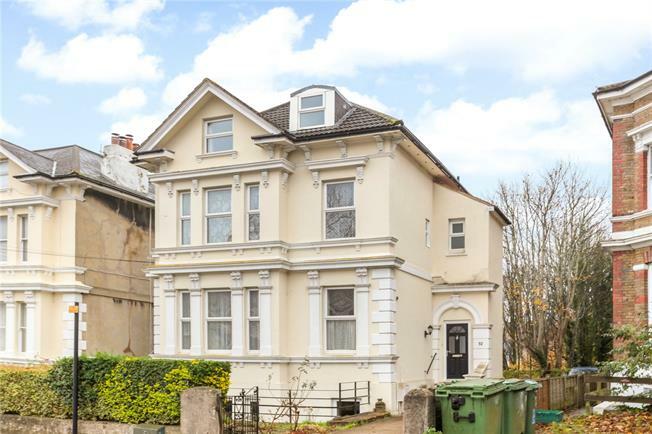 The house is set less than half a mile from the centre of Tunbridge Wells where there are outstanding shopping facilities, particularly at The Royal Victoria Place shopping mall and Calverley Precinct. In the lower part of the town are the High Street, the famous Pantiles and Tunbridge Wells train station. The town is renowned for its educational facilities for children of all ages in both the private and state sectors including grammar schools and recreational amenities include a cinema complex, two theatres, a sports and leisure centre, two golf courses and numerous restaurants etc. To the front, there is a stone wall and established hedging. A driveway from the road leads to the rear where there is parking for several vehicles and an old shed.